11406 Jefferson Trace Blvd Louisville KY 40291 is an updated & spacious home in the Jefferson Trace neighborhood. Enter into a beautiful foyer with hardwood flooring. The foyer opens to both the Living & Formal Dining Rooms, each with crown molding plus a decorative tray ceiling in the Dining Room. The stunning two story Great Room is accented by built in book shelves, a fireplace, and a palladium window. The Great Room is open to the Eat In Kitchen with recessed lighting, hardwood flooring, stainless appliances, granite counter tops, breakfast island, and comfortable dining area. The first level of the home also includes a wonderful study with built in book shelves, half bath, and laundry room with granite counters. The Master Suite with tray ceiling showcases a huge Master Bath with double vanity, shower, and Jacuzzi tub. The three secondary bedrooms are virtually in their own wing of the second floor. 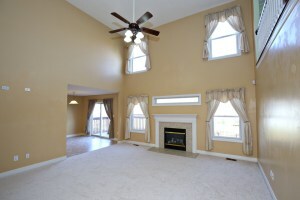 You'll find a large bonus room off of the hallway with the three bedrooms clustered around it. This is the perfect space for a large family or guest quarters. The Bonus Room could easily serve as a playroom, entertainment room, or recreational area. 11406 Jefferson Trace Blvd Louisville KY 40291 has a full unfinished basement which offers great potential for future completion. The basement is even roughed in for an additional bath. 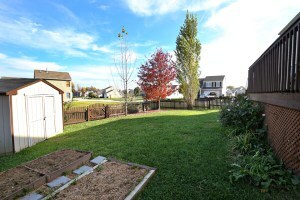 The Back Yard is incredible with a wonderful covered back deck and grassy yard. The home also includes a 3 car garage. Just three doors down from the neighborhood clubhouse & pool! Updates galore in this home including updates to the kitchen & laundry room, garage doors & opener, extended driveway & sidewalk, upgraded electrical panel, exterior lights, and covered deck. Wow! Call 502-371-1173 today to speak with us about this home in Louisville. We would love to give you a tour! Don't miss your chance to view 8805 Brook Willow Drive this Sunday November 23rd from 2-4! Take a personal tour of this beauiful 4 Bedroom home in Brookhurst with a spacious floor plan & glistening hardwood flooring throughout the first level. Stunning home & highly desirable location! Visit the link above for property highlights or call 502-371-1173 to speak with our team about this home. We welcome you to join us this Sunday or browse our Open Houses In Louisville KY page to see a comprehensive list of area open houses. 4300 Holly Tree Dr Louisville KY 40241 is an immaculate three bedroom home positioned on a lovely cul-de-sac in Brownsboro Woods. Enter to the Living Room with warm fireplace & crown molding accent. 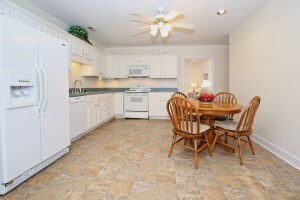 The Kitchen features abundant cabinet space, chair rail, crown molding, & comfortable dining area. 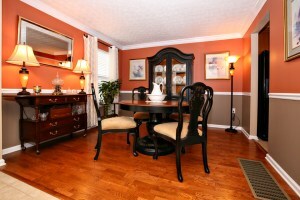 The Formal Dining Room with tray ceiling is currently utilized as a wonderful home office. One good sized Bedroom & a Full Bath complete the first level. Upstairs you'll find a large Master Bedroom. The second floor also houses a Full Bath with jacuzzi tub & shower as well as another Bedroom with its own sitting area. 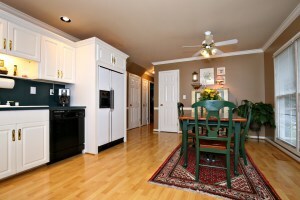 The Basement offers fantastic additional living space with a Family Room, Laundry Room, & additional room (music room). The three car garage is heated with tons of space for storage. 4300 Holly Tree Dr Louisville KY 40241 has a fully fenced yard with a relaxing patio & deck for outdoor dining and entertaining. There is also a storage shed on the property. Several upgrades include A/C with 10 year warranty (2013), exterior paint (2013), new carpeting in the bedrooms & hall (2013), sump pump (2012), water heater (2008), garbage disposal (2012), and garage furnace (2003). Wow! This home has it all! Call 502-371-1173 to discuss the property and learn more about Louisville Real Estate. 17510 Stallion Way Louisville KY 40245 is a gorgeous Four Bedroom home with 2 1/2 Baths in sought after Lakeview at Polo Fields! The tastefully designed entry & front foyer lead to a Formal Dining Room accented by crown molding, chair rail, and glistening hardwood flooring. The Eat In Kitchen is perfect for entertaining with a sunlit dining area, abundant cabinet space, and modern appliances. 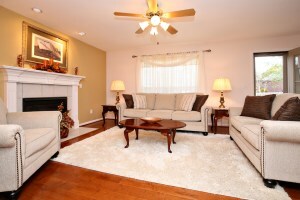 The Living Room showcases a handsome gas fireplace and neutral decor. A first floor half bath rounds out the first level. The Master Bedroom showcases a tray ceiling & a private Master Bath with shower & jacuzzi tub. Three good sized secondary Bedrooms & a Full bath complete the second floor. The basement has been partially finished to include a wonderful Family Room & Laundry Room and offers additional storage space. 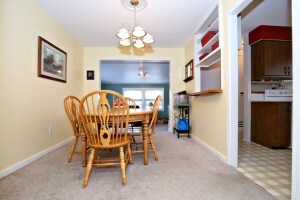 The interior is immaculate throughout with abundant closet & storage space. 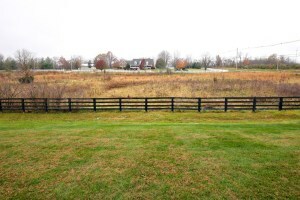 17510 Stallion Way Louisville KY 40245 has a pristine back yard with a view of the field beyond. New owners will also enjoy the Relaxing patio for outdoor dining & two car attached garage. 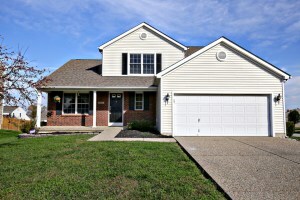 Give us a call today to tour this beautiful Home In Louisville! Potbelly Sandwich Shop wasn’t born in Louisville but I can personally say I’m happy that this little restaurant now calls the Derby City home. With two shops, one downtown and one in the Paddock Shops (formerly known as the Summit), Potbelly is quickly becoming a local favorite. 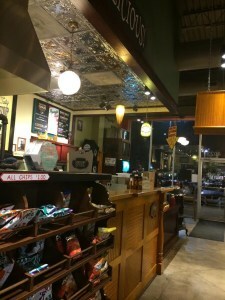 The Potbelly Sandwich Shop originally started out as an antique store owned by a couple. The owners decided to start selling lunch to their customers and soon lines were out the door for a bite. Potbelly’s website gives a little history about the restaurant that is enjoyable to read. In 1996, the antique store was purchased and turned into what we know today as the Potbelly Sandwich Shop restaurant. 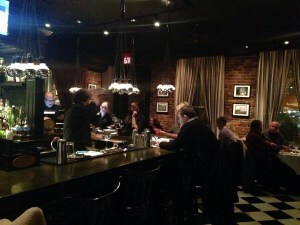 The atmosphere in the restaurant is very cozy, especially now that it is so cold outside. I have tried a few of their sandwiches and have been pleased with each kind. Surprisingly, their peanut butter and jelly sandwich is one of my favorites. I didn’t know peanut butter and jelly could taste so good. Maybe it’s because it’s toasted? When it comes to soup and chili, it’s hard to find a better place to go to warm up with something so delicious. 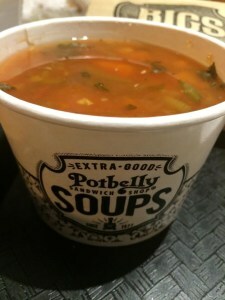 Potbelly’s switches up their soups of the day. Their broccoli cheddar and chili are available every day. If you have the chance to taste the garden vegetable soup, do yourself a favor and get it. It tastes familiar and cozy and delicious. If it’s not available, I highly recommend the chili. A perfect complement to the sandwiches. If you can’t decide which soup to try, ask for a sample! 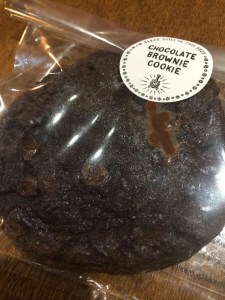 Lastly, get the chocolate brownie cookie. Just do it. 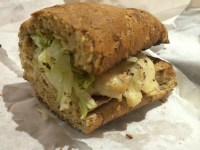 Let us know what you think about Potbelly Sandwich Shop and tell us where we should eat next. Tweet us @AtHomeInLou or call 502-371-1173 today to speak to us about the latest in Louisville Real Estate. 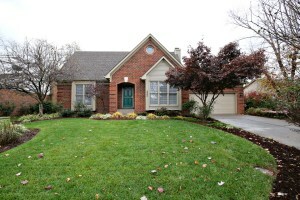 9223 Talitha Drive Louisville KY 40299 is a wonderful three Bedroom ranch style home in the Watterson Woods neighborhood! The front foyer opens to a comfortable Living Room & good sized Dining Area with white trim work, new carpet (Spring 2014), and neutral walls. The Eat In Kitchen is welcoming with plenty of cabinet space, tile floor, and a dining area that exits to the screened porch. The home offers three Bedrooms & a Full Bath. The laundry room completes the interior. The screened porch is a lovely spot to entertain guests and the skylight brings in lots of natural light. 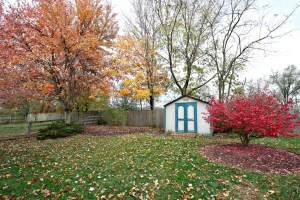 9223 Talitha Drive Louisville KY 40299 has a fenced in back yard that showcases a couple of mature trees. There is also a 2 1/2 garage- awesome space for storage! The home has had several upgrades including a new roof (2010), sewer system repair (2014), and newer hot water heater. 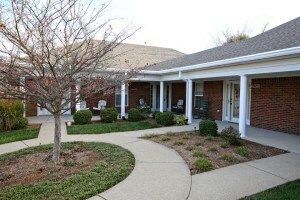 You'll love the location close to Charlie Vettiner park and Bardstown Rd! 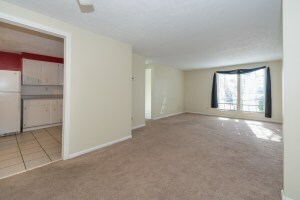 7923 Stovall Ct Louisville KY 40228 is a lovely FHA approved condo in Stovall Place. You'll love the spotless interior with 2 Bedrooms and 2 Full Bathrooms. Enjoy peaceful single story living with the convenience of exterior maintenance, grounds keeping, sewer, trash, water, & snow removal! The interior is spacious with neutral decor throughout. The covered entry leads to a pleasant Living Room accented by a tray ceiling. 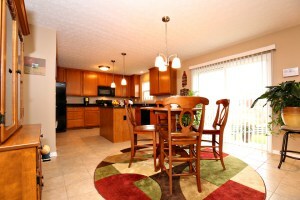 The Eat In Kitchen is large with plentiful cabinetry and welcoming dining area. The cozy Family Room provides access to the back patio. The Master Bedroom is generously sized with a private bath & walk in closet. The other Bedroom is conveniently positioned to the 2nd Full Bath. The Laundry Room completes the floor plan. In the back of the property you'll find a fenced & relaxing patio for outdoor dining. Great Location! Call today or visit the link for additional property information about 7923 Stovall Ct Louisville KY 40228. Feel free to continue to browse our websites to view homes in Louisville! If you just like a little bit of this & little bit of that, or you are hungry, but just not that hungry, then Bistro 1860 is the place for you! This restaurant has the most unique French-American fusion cuisine menu in the city. Chef Michael Crouch has developed a trademark a trois niveaux style. Huh? OK, I don't know French either, so in plain English; they offer 3 portion sizes, bite size, appetizer and entrée portion. These options come in handy because it is often difficult to choose what you want to eat. If something sounds good, but you're not so sure you will like it, just order a bite! Or you can order the entrée size portion and share with your entire group. The menu is constantly changing because Chef Michael Crouch likes to offer the freshest produce from local farmers; so the offerings usually correlate with the season. Many of the popular offerings are a constant on the menu, such as the Lobster Hush Puppy with lemon hollandaise, blood orange gastrique, and candied jalapeño ($6, $12, $18); and the Hudson Valley Duck Confit Strudel with caramelized onion, candied chile, fresh capriole goat cheese, shallot sherry cream sauce ($8, $15, $23); but Chef Crouch is always trying to create new innovative dishes to tease your tastebuds. Personally, one of my favorites are the Porcini Dusted Diver Scallops with wild mushroom, smoked butter, english pea, and local vegetables ($12, $24, $36). My husband cannot stay away from the Lobster Hush Puppies. The first thing you will notice as you walk in the door is the expansive curvet system (one of the largest in the country) that allows you to choose from 54 open bottles of wine. If you prefer a tasty cocktail, the bartenders are excellent mixologists & will create a concoction just for you. In the warmer months of the year, you can sit on the patio to dine or just hang out with friends for a pre or post dinner cocktail. They often have live music in the evenings for your enjoyment. Bistro 1860 is located at 1765 Mellwood Avenue, it's at the corner of Brownsboro Road and Mellwood Ave. This is a must for all savvy diners! To learn more about local dining options, louisville area events, or to discuss homes in Louisville contact At Home In Louisville Real Estate Group today at 502-371-1173. 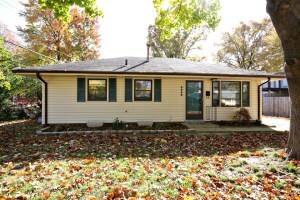 3658 Kelly Way Louisville KY 40220 is a lovely two bedroom Ranch home in the Highgate Manor neighborhood. You'll love the spacious Living Room with neutral walls & the comfortable Dining Area with white trim work & a convenient pass through window to the kitchen. 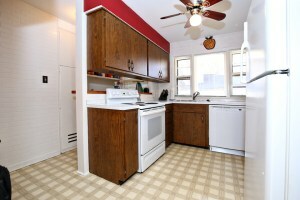 The Kitchen has abundant natural light & cabinet space. 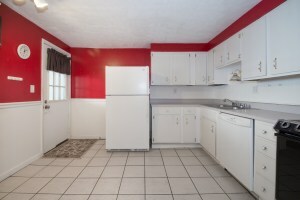 The Laundry Room is conveniently located in the Kitchen. There is a wonderful additional room off of the Dining Area with replacement insulation, walls, & drywall. The current owners use the space as a living area & play room. Both bedrooms are good sized with ceiling fans and positioned conveniently to the Full Bath. 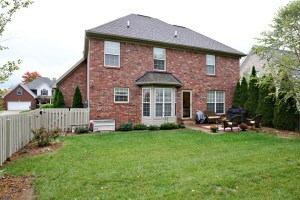 3658 Kelly Way Louisville KY 40220 has a Large Back Yard with a relaxing patio. The 1 1/2 car garage has great additional storage. The storage room located between the house & garage is perfect for storing lawn equipment & other items. 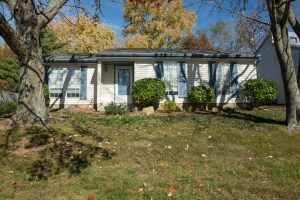 Awesome location near restaurants & shopping along Taylorsville Rd! Visit the link above for detailed property information or call At Home In Louisville Real Estate Group for more information about Homes In Louisville! There is nothing quite like slow cooked, homemade bar-b-que. 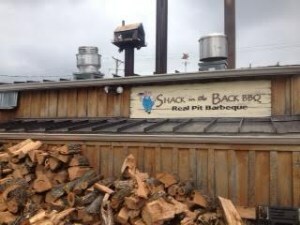 Just writing about it now makes me want to run over to Shack in the Back BBQ and grab a turkey rib dinner. 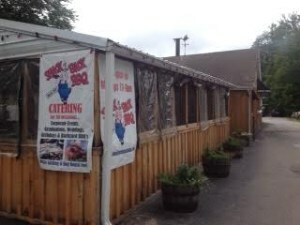 Nobody does bar-b-que like the south and nobody in Louisville does bar-b-que quite like Shack in the Back BBQ. The relaxed atmosphere and southern décor make you feel right at home. “This is a place where families gather for all that is best about Kentucky barbecue." With 4.7 out of 5 stars from Google reviewers and listed as 4th best bar-b-que in the city (out of 24 restaurants with 2 of the top 3 being national chains), it’s no wonder that this restaurant is a local favorite. Here are a few of the things that make this restaurant so delicious:1) Their side dishes are made from scratch. 2)Their sandwiches are all served on bakery fresh buns. 3)Their wings are smoked for a minimum of 3 hours (no microwaving here!). 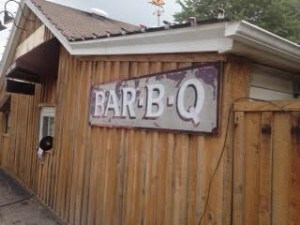 Out of all the Google reviews, the ribs were the most recommend entrée at Shack in the Back BBQ. Do yourself a favor and try some! When you are done, you can purchase a bottle of your favorite sauce or some sweet pickles to take home. If you are excited about trying this restaurant, we recommended not visiting during prime dinner or lunch hours as the restaurant itself isn’t very large. Shack in the Back BBQ also caters events. 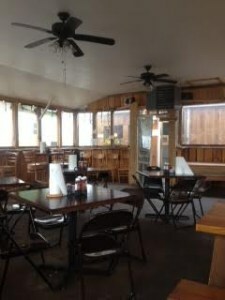 Let us know what you think about Shack in the Back BBQ and tell us where we should eat next. Tweet us @AtHomeInLou or visit one of our websites to View Homes in Louisville. 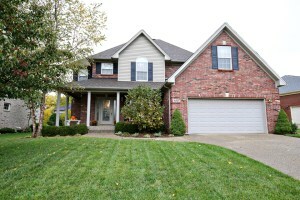 8805 Brook Willow Drive Louisville KY 40299 is a gorgeous four bedroom home in Brookhurst. The welcoming front porch opens to a two story foyer. 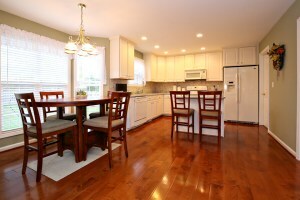 Sparkling hardwood floors greet guests and flow throughout the first level of the home. The Formal Dining Room showcases decorative chair rail & crown molding. 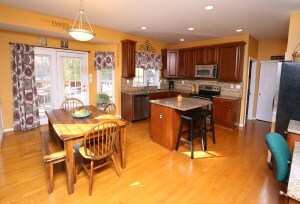 The Eat in Kitchen is welcoming with a comfortable dining area with bay window, breakfast bar, and recessed lighting. You'll love the spacious Great Room with handsome fireplace. A half bath and laundry room complete the first floor. 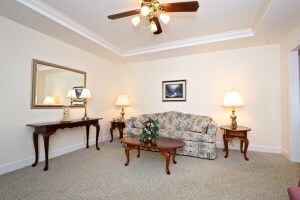 The Master Bedroom is accented by a trey ceiling & crown molding and has a good sized walk in closet. The Master Bath offers a double sink, shower, and Jacuzzi tub. 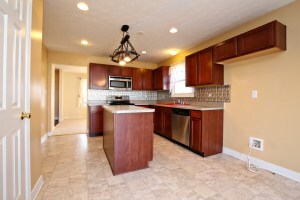 The second floor also includes three more bedrooms with hardwood flooring and a Full Bath. 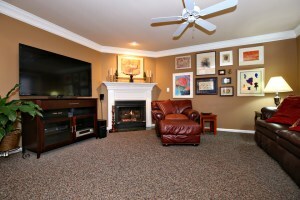 The Basement opens to a wonderful Family Room with built in entertainment center & recessed lighting. The basement also offers a kitchenette, Full Bath, and an additional room which is currently being utilized as another bedroom. 8805 Brook Willow Drive Louisville KY 40299 has a large & level Back Yard with a full fence & patio for outdoor dining & entertaining. Stunning home with an immaculate interior! Call 502-371-1173 today for detailed property information about this Home In Louisville! At Home In Louisville Real Estate Group will be hosting 2 wonderful Open Houses this Sunday November 16th! Visit 8916 Westport Rd from 2:00-4:00pm or 3658 Kelly Way from 1:00-4:00pm! 8916 Westport Rd is a lovely updated four bedroom home with neutral decor & 3658 Kelly Way is an inviting 2 Bedroom ranch in Highgate Manor! Come out to the Open Houses this weekend and we will give you a perosonal tour! Call 502-371-1173 for detailed property information. Directions: I-264 East to Westport Road. 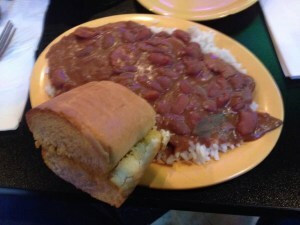 When you think of Cajun food, you tend to think of New Orleans. Did you know that Louisville really knows how to cook up some crawfish and po boys like you have never had. 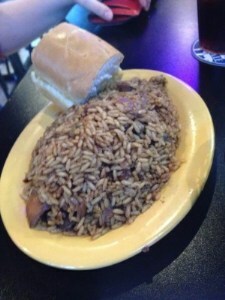 One Google reviewer says about Joe’s “"The best Cajun food I had up north and I'm from Louisiana so I know my Cajun." Another very happy Google reviewer says this about his experience: “The best cajun food in Louisville. Since 1995, Joe’s Ok Bayou has been doing just that. Bringing Mardi Gras up to Louisville for that past 19 years, Joe’s Ok Bayou has become a local favorite for Cajun food, even winning several Reader’s Choice Awards and a Churchill Downs Chili cook-off. 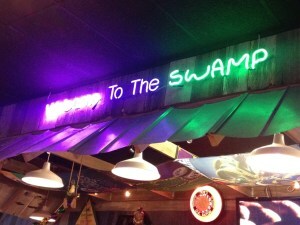 Walking in to the restaurant you are greeted with vibrant Mardi Gras colors and a little swampy décor to make you feel like you are in the bayou. If you have never had Cajun food or are not a fan of anything too spicy, try a staple like the red beans, sausage, and rice plate. If you are feeling a little adventurous, Joe’s Ok Bayou offers a fun mix of gator tail, crawfish, and frog legs. Yes, the gator does taste a little like chicken – so don’t be afraid to branch out and try some! Jambalaya and gumbo are also a few fan favorites and takes you right to the swampland. When you’re done, try a Cajun praline to finish your meal. 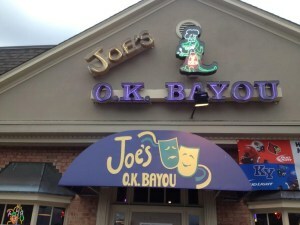 Let us know what you think about Joe’s Ok Bayou and tell us where we should eat next. Tweet us @AtHomeInLou or call 502-371-1173 to discuss Louisville Real Estate. At Home In Louisville Real Estate Group will be hosting an Open House this Sunday November 9th from 2-4pm at 8805 Brook Willow Drive! Join us to view this beautiful four Bedroom home in Brookhurst! You'll love the spacious floor plan with sparkling hardwood throughout the first level. The home also offers a large fully fenced in yard with patio for outdoor entertaining! Stunning home in a very desirable location! Please feel free to use our website to your heart's content to search for property available in the Louisville area and visit Open Houses in Louisville to browse the list of upcoming Open Houses! 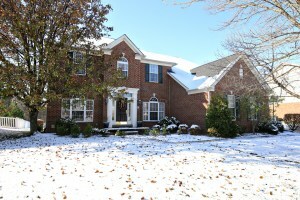 6609 Silo Ridge Ct Louisville KY 40299 is a beautiful home in Billtown Farms. The front porch entry opens to a pleasant foyer. The welcoming Formal Dining Room is accented by chandelier fixture. You'll love the eat in kitchen wtih plentiful cabinetry, recessed lighting, dining area, stainless appliances, and center island. The spacious two story Living Room showcases abundant natural light from several windows and a cozy ventless fireplace. The Master Bedroom is conveniently positioned on the first floor with its own private Master Bath with shower and jacuzzi tub. The Laundry Room rounds out the first floor. The second floor opens to a large loft which is utilized as a study, complete with built in book shelves and a sun lit window seat. The second floor also offers two good sized bedrooms and a Full Bath. The Basement has been partially finished to include two completed rooms- one currently serving as a theatre room and the other as an additional bedroom. There is also a roughed in Full Bath as well as plenty of space for storage or future completion. 6609 Silo Ridge Ct Louisville KY 40299 has a relaxing fenced yard with a deck for outdoor dining and a storage shed for lawn equipment. The property also has a two car attached garage. Give us a call today at 502-371-1173 to schedule your showing of this lovely home in Louisville.